When it comes to carpet cleaning there are many questions that arise. Carpets are expensive and lots of people worry that if they get stained they will not be able to get rid of the marks. In addition to this, there is often the worry that owners are going to ruin their carpets by using the wrong products on stains. In this article, Wrennalls will aim to answer all the questions that commonly arise in the carpet cleaning industry. It is hard to give an exact time as all carpets are different but we can guarantee that all carpets will be dry within 30 minutes of cleaning. Our system uses 95% less water than other systems leaving your fresh smelling and clean carpets ready to use in a short space of time. No, not if the job is carried out by professionals. 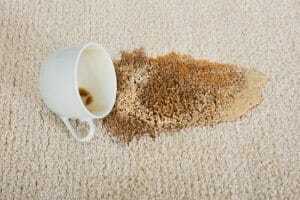 Carpets usually only shrink if the backing gets wet. We only use our high-quality low moisture system which completely eradicates any chance of shrinkage and split seams through over wetting the backing of the carpet. We would suggest that you get your carpets professionally cleaned at least once a year but to keep them in tip-top condition every 6 months would be preferred. How frequent they should be cleaned also depends on how often the carpets are walked on, whether there are pets, if people smoke and so on. What kind of carpet cleaning system do you use? We use the Dry Fusion carpet cleaning system. This is a state of the art system that heat cleans, deodorises, stain protects and then heat dries all types of carpet material. Dry fusion produces absolutely no waste products and uses non-hazardous and biodegradable cleaning solutions. Can you remove red wine, tea, coffee and other tough stains? We do our very best to remove all stains no matter how tough, but the fact of the matter is that some stains are permanent. If a stain has been treated wrongly or left for a long period of time, there is a chance that it will not be able to be completely lifted. In this case, we will do our best to remove it as much as possible so that it is less noticeable. Which stains are the hardest to remove from a carpet? As mentioned above, red wine, coffee and tea are amongst the most difficult to remove. Blood, oil, mud, ink and tomato-based substances are also tough stains to eliminate but can be done with the correct handling. Their removal will depend on when the stain occurred and if anyone has already attempted to remove it using the wrong method. 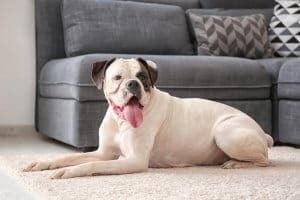 Can you remove pet odours and urine stains? The Dry Fusion system that we use deodorises the carpets which should eliminate any pet odours, no matter how potent. Urine stains can be tough but with a mixture of our team of experts and the best quality equipment, we should be able to remove them. 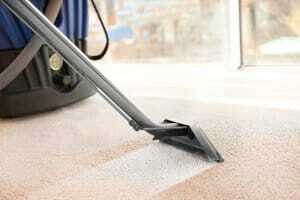 How safe are your carpet cleaning chemicals? We use the very best cleaning system available. Our Dry Fusion system contains no toxic or hazardous chemicals, no enzymes, no detergents, no bleaching agents, no optical brighteners, no perfumes and no aggressive alkalis. Out cleaning solution leaves no waste and uses biodegradable and non-hazardous chemicals. Can you clean natural fibre carpets like sisal and coir? Using a mixture of steam and low moisture cleaning means that any material carpet can be effectively cleaned- including sisal, seagrass and coir carpets. It is important that only a professional cleans these types of carpet as if they are cleaned incorrectly they can shrink. Is it true that once the carpet has been cleaned it will get dirty again very quickly? This only happens when there is residue left over on the carpet from detergents. Our cleaning system uses low moisture so that this does not happen. Your carpets will remain clean and fresh for a long period of time as long as you look after them. What should I do before you arrive to clean my carpet? It would be very helpful if you could removal all items from the carpet. This includes moving wires on the floor so you may need to unplug these devices. It is a good idea to remove any valuable items from the room/rooms to avoid any damage or breakages. 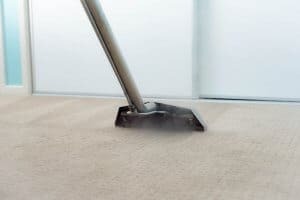 One of our expertly trained team should be able to give you a quotation over the phone if you provide some details about the carpet that you would like to be professionally cleaned. They may ask to know the size of the carpet and the material the carpet is made of in order to from an accurate estimate of the costs involved. If you have any more questions that have not been answered in this article please give us a call so that we can help you in whichever way that you require 01772 364 666.